Defence Minister Aleksandar Vulin, First Deputy Prime Minister and Minister of Foreign Affairs Ivica Dačić, Chief of General Staff of the Serbian Armed Forces, General Ljubiša Diković, and members of the collegiums of the Minister of Defence and the Chief of General Staff, have attended the 8th Conference of the Defence Attachés of the Republic of Serbia today. Speaking after the plenary session, Defence Minister Aleksandar Vulin pointed out that the Ministry of Defence and our 22 attachés in military diplomatic missions have consistently implemented the policy of the state leadership. - The policy of the President of the Republic of Serbia and Supreme Commander of the Serbian Armed Forces, Aleksandar Vučić, is a policy of military neutrality and a policy of consistent struggle for the wholeness and territorial integrity of the Republic of Serbia. All our attachés have enhancement of bilateral cooperation as their primary goal, but also always taking care that state policy is implemented and that nothing is done that can harm the interests of the Republic of Serbia and our people - the Minister of Defence said and added that the Serbian Armed Forces and the Ministry of Defence, wherever they are, exist and serve to spread the truth about Serbia and for the whole world to be well aware that the state of Serbia is militarily neutral, that it makes its decisions on its own and chooses its own friends. Minister Vulin also pointed out that defence attachés are also of great help when it comes to the economic cooperation, for the products of the Serbian Defence Industry to find their place on the world market more easily. - It is a very important part of their everyday activities. The most important part of their work and the reason for their existence is that the state of Serbia knows that it can rely on its military diplomats and, thus it can be sure that we will always be protected in every way, in terms of diplomacy, economy and intelligence, and always preserve the interests of the Republic of Serbia in the first place - Minister of Defence Aleksandar Vulin said. 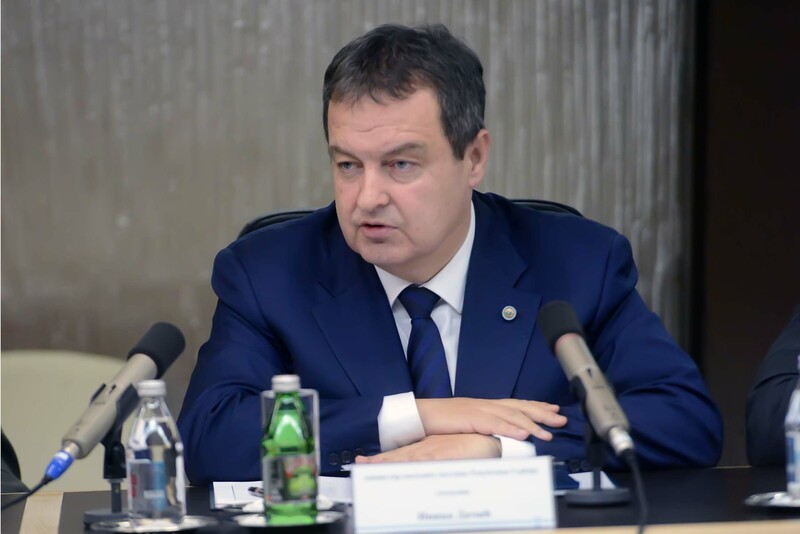 First Deputy Prime Minister and Minister of Foreign Affairs of the Republic of Serbia, Ivica Dačić, expressed his satisfaction at taking part in the Annual Defence Attachés Conference. - This is an extremely important meeting because it is important that Serbia's foreign policy is conducted in good cooperation with all ministries. In this case, cooperation with the Ministry of Defence and the Armed Forces and defence attachés around the world is of vital importance for the realisation and protection of our state and national interests. The role of the defence attaché is big. We, of course, have our strategic priorities related to our membership in the European Union, for regional cooperation and cooperation with other countries, our longtime friends, but certainly the issue number one in protection of national and state interests is the struggle for preserving our territorial integrity and for reaching an acceptable and long time sustainable solution to the problems in Kosovo and Metohija - Minister Dačić said, adding that, having in mind the geostrategic situation in the world and the great turbulence on the international level, it is extremely important that our state authorities are cooperating well. 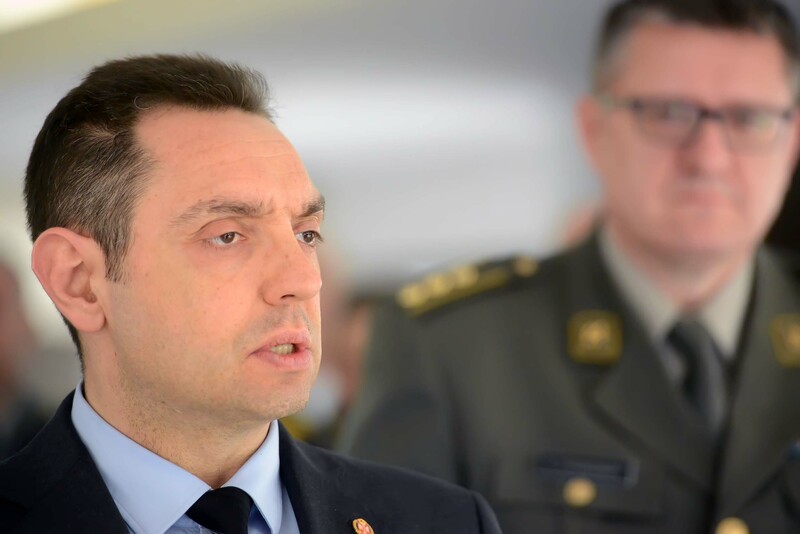 The Minister of Foreign Affairs pointed out that this ministry will continue to cooperate well with the Ministry of Defence and the Armed Forces, as well as with defence attachés, “because we all work for the same house, for Serbia and for the realisation of our state and national policies”. 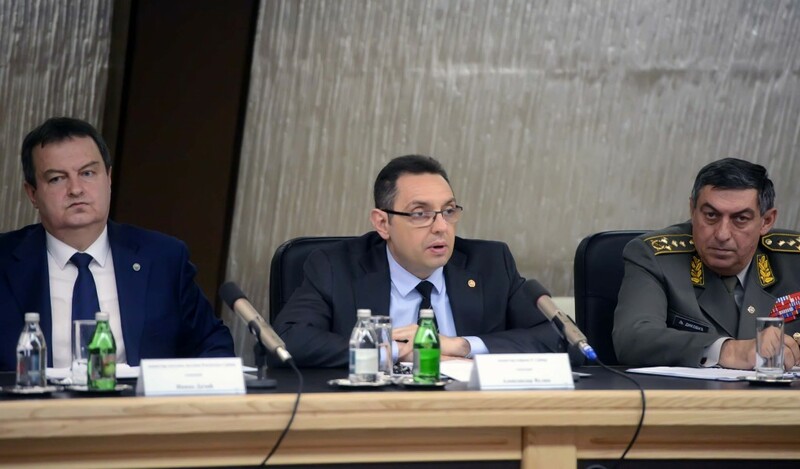 Deputy Director of the Military Intelligence Agency, Colonel Zoran Stojković, pointed out that today we have had the opportunity to attend the plenary session of the annual conference held on the occasion of the arrival of the defence attachés to the Republic of Serbia. - This is already the eighth time and it is becoming traditional that once during the year, 5 to 6 business days, attachés come here to conduct an analysis of their work and give them clear instructions for the work in the forthcoming period. There are 22 defence attachés present, and this year we plan to open two new defence missions, in Iran and Belarus, so that our military-diplomatic network, and therefore our capacities, representation of Serbia abroad, protection of the interests of the Armed Forces and the Ministry of Defence as well as the development of bilateral military cooperation, will expand to a large extent - the colonel said, adding that this was an excellent opportunity for people to gather again after a short stay abroad. For this year, he announced “a greater rotation”, after which a dozen new colleagues would go abroad. - This was an opportunity for them to see what are the tasks in front of them and what are their obligations. We consider it to be another of the benefits we have achieved, and our attachés also visited yesterday the Joint Tactical Exercise at Pasuljanske livade training ground, where they had the opportunity to see the level of training of our units, and we can all be proud how it passed yesterday - the deputy director of the Military Intelligence Agency said. Military diplomatic activity is one of the pillars of the state diplomacy and the Military Intelligence Agency, as the holder of this function in the Ministry of Defence, is a bridge connecting the state with military interests. In the year when 140th anniversary of military diplomatic mission of Serbia is celebrated, the Conference is an excellent opportunity to analyse the results of the defence attachés in 2017 and to give them guidance for future work. 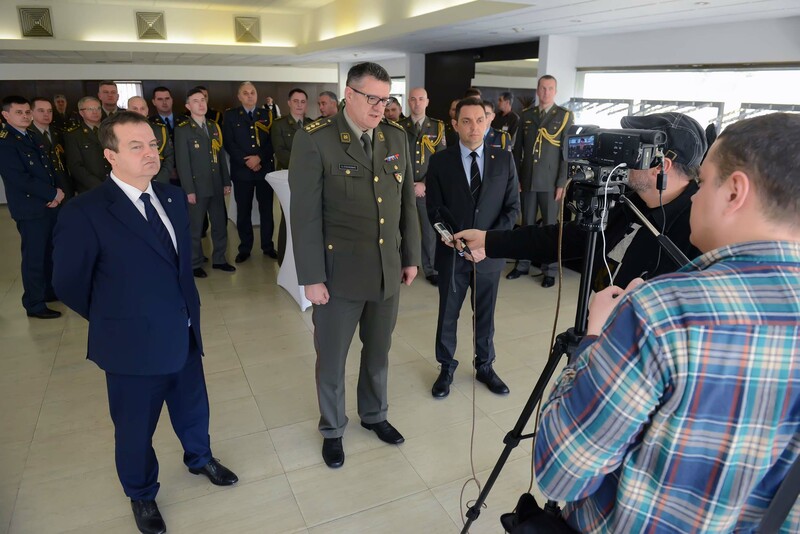 In the past days, the defence attachés were addressed by the leadership of the Ministry of Defence and the Serbian Armed Forces, as well as representatives of other state bodies. The conference will last until 4th April.